Driveway alarm systems are meant to be installed in your driveways – hence the name. You will need to research a bit on wireless alarms and driveway alarms in order to know the best product that meets your requirements. There are many things to look at when you wish to buy a driveway alarm. You must know your requirements well and the features that are most important for an alarm system to have. 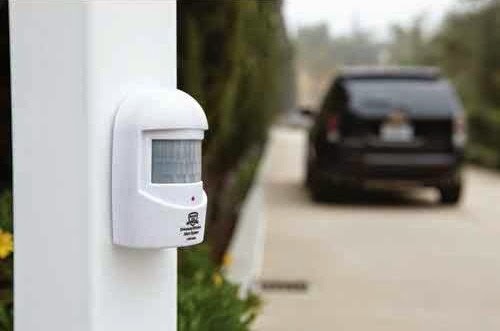 While driveway alarms are great devices for your security and protection, they could be extremely annoying and pestering if the right product is not picked by you. Driveway alarm systems are now available as wireless technology in addition to the wired options from the past. There are different technological methods that these alarms use to detect vehicles, humans, animals, etc. Infrared technology enables these alarms to detect the infrared rays that are being emitted by moving bodies. Many alarms detect the magnetic flux and some use the ultrasonic detection methods. There are various kinds of alarm systems but their focus is your security. They all have their drawbacks and advantages. Your choice can be based on your particular case rather than focusing more on their pros and cons. These alarms mainly work with the help of a sensor and a receiver. The sensor is the component that will be placed in your driveway for the purpose of sensing the presence of objects and suspicious people nearby. The receiver is the part that receives the signals transmitted by the sensor. If there are any alarming changes in the signals sent by the sensor, the alarm rings. How you get notified depends on your choice of the equipment. Different alarm systems use different methods for informing the owners of the house of the presence of unauthorized entities. Some alarm will notify by flashing LED light whereas others will make a loud noise. Today, you can connect your alarm systems with your Wi-Fi and have the alarm notification reach you on your email or text message too. The wireless alarms have two different kinds of ranges. One is the area in which the sensor is able to detect objects. Outside this area the sensor will not be able to detect any movement. The other kind of range is the distance to which the sensor can easily send its signals to the receiver in order to sound the alarm on time. The question on range of the wireless alarm system must always be asked. The alarm system you choose should have enough range to cover your entire driveway area. Most driveway alarm systems are also expandable i.e. you can add more sensors to them for a better coverage. Lastly, it is extremely important that you choose an alarm system that only detects the things that you want to detect. If you just want to detect the presence of vehicles in your driveway, you would want an alarm system that doesn’t annoy you with its noisy notifications when a squirrel is lurking nearby it.